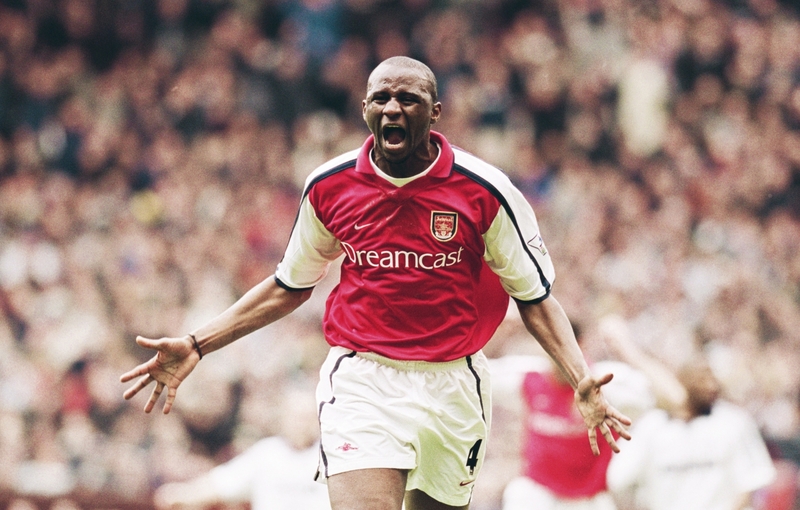 HELD IN THE FELICITOUS WARMTH that blessed the afternoon of 15 May 2004, as Arsenal came from behind to defeat Leicester City 2-1 at Highbury, many thousands lined the stands of the late north London stadium. Momentarily motionless, engrossed with giddy disbelief, enraptured with awe, those lucky few watched on as Arsène Wenger’s team lowered into place the final piece of a most exceptional and elusive puzzle. Though consisting of just 38 pieces, the resulting image portrayed a scene breathtaking in its intricate beauty. In the picture the club’s now-legendary class of ‘04 were seen not only adding their names to the game’s grand old history books but carving into stone a monumental declaration of their own attainment of sporting perfection; a complete journey, opening with an allusion to a once ludicrous admission of their desire to achieve immortality and closing with the impossible sight of their successful execution. As the players strode on through the ethereal heat towards one final victory, shrugging off any suspicion of a tragic conclusion, they each took to their rightful place in football folklore and signed off on a story sure to be called upon again, years from now, with grandchildren in their laps bringing new joys to reminiscent fireside dotage. Magical though it seemed, the achievement itself was not so much a sudden and inexplicable aligning of celestial bodies but more a methodical and meticulous rearranging of them by studied French hands. The fruits of majestic trees, sown by years of tireless work and preparation; Arsenal’s invincible season was a miracle, but it was no accident. Over the course of their impeccable season, of the 11 players trusted most regularly, just one player was hand-picked in the build up to their campaign, with the intention of adding immediate quality to a seasoned starting line-up already experts in the Wenger philosophy. 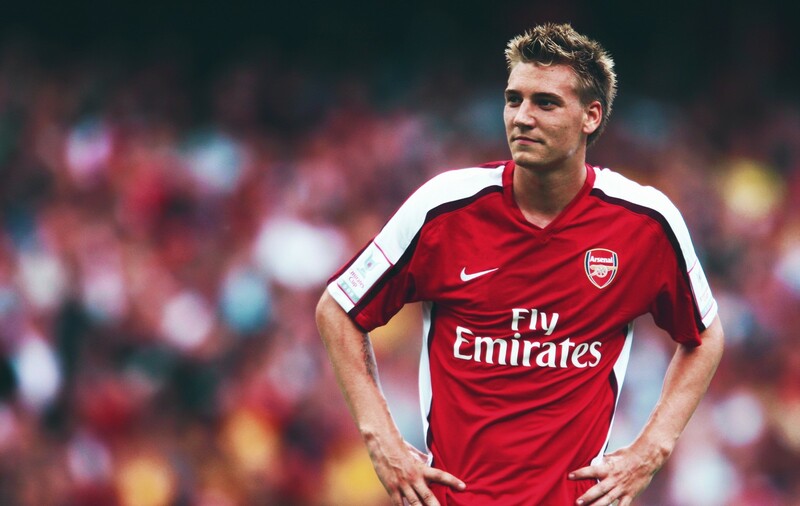 In the summer transfer window that preceded the 2003-04 season – to Lauren, Campbell, Touré, Cole, Ljungberg, Vieira, Pirès, Bergkamp and Henry – Wenger, not without evoking the vociferous scepticism of many, added just one name: that of 33-year-old German goalkeeper Jens Gerhard Lehmann. Brilliant, determined, crazy and inimitable Lehmann. Unlike so many Arsène Wenger acquisitions, Jens Lehmann found his way to Arsenal already a seasoned veteran, some 15 years into his professional career, and arrived in the English capital with a divisive reputation, still juggling armfuls of mementoes marking the anniversaries of his long conflicting relationships with both grandeur and lunacy. Having graduated from Schalke’s esteemed Knappenschmiede academy in 1988, Lehmann enjoyed a memorable decade with his boyhood club, in spite of uncertain beginnings. 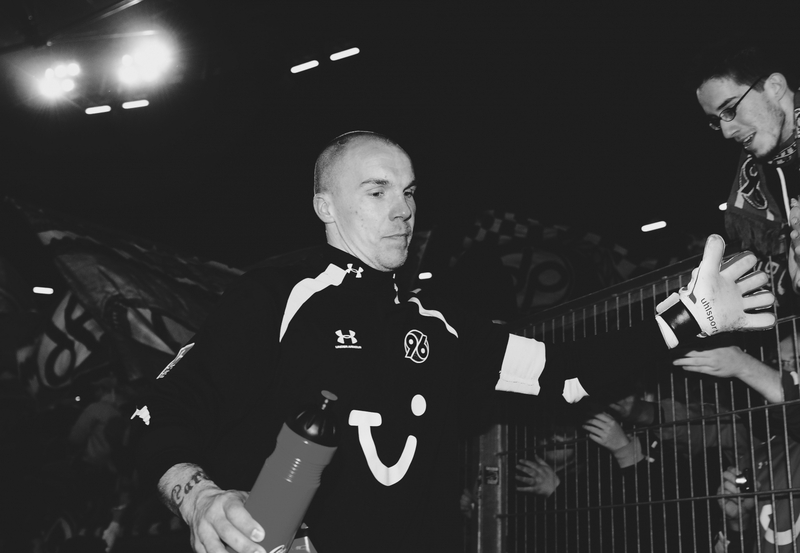 Adversity seemed to enjoy testing Lehmann’s resolve during his early Gelsenkirchen days. In 1993, having been at fault for three first-half goals in the space of just seven minutes, a half-time substitution away to Bayer Leverkusen quickly became the lowest point of Lehmann’s early career. The manager’s decision to withdraw his keeper at the break is said to have led to a 24-year-old Lehmann attempting to flee the stadium by tram, alone, unable to face the team-mates whom he believed he had let down with his performance. But such teething problems failed to define Lehmann who quickly bounced back, as he would come to do so regularly throughout his career, and established himself as his club’s number one goalkeeper. Ever willing to do so much more than just keep goals out, Lehmann also chipped in with goals of his own. Within football there are certainly few sights more unabashedly thrilling than the image of a lanky, glove-clad goalkeeper appearing suddenly at the other end of the pitch, looking as though he is lost and in desperate need of recalibration, only for him to then score against his unsuspecting opponents. During his Schalke career, perhaps befitting of a player of his fabled eccentricities, Lehmann evidenced a notable knack for doing just that. Though he may only have notched twice – the first even coming from the relative safety of the penalty spot as the final goal of a 6-2 win – his goal tally remains two greater than most goalkeepers will ever score during their career and it was in part thanks to these unique contributions that Lehmann strode the path towards cult status in Germany. It also helped significantly that his second goal came in the form of a last gasp equaliser away to local rivals Borussia Dortmund just a few days before Christmas in 1997. Furthermore, by this point Lehmann had already played an invaluable role in his side’s securing of a coveted European trophy; saving Iván Zamorano’s penalty shootout opener in the previous season’s UEFA Cup final victory over Internazionale, meaning such claims of deserved cult status were met with few dissenting voices. Talk of Lehmann’s homeland heroics had made its way across borders and earned him an opportunity to journey south, to earn his trade on Italian soil and bear the famous red and black of Milan; or at least the colour of their corresponding goalkeeper jersey. In the lead up to the 1998-99 season, Lehmann said his goodbyes to the Ruhr and made the move to Alberto Zaccheroni’s AC Milan. Sadly the keeper’s time in Italy saw his predisposition for on-field anarchism make an untimely comeback, only this time without the necessary caveat of fine form and leadership that often excused such lapses in professionalism. In only his third start for the Rossoneri, Lehmann featured heavily in his side’s 3-1 loss at home to Fiorentina, though for all the wrong reasons, most notably falling foul of a Gabriel Batistuta hat-trick that included an indirect free-kick from just five yards from goal that followed Lehmann’s unfortunate handling of a team-mate’s back-pass. From this swiftly reached nadir, Lehmann’s Milan career never recovered. After the Fiorentina capitulation, Lehmann found himself chosen to guard the Milan goal just twice more before permanently losing his place in the line-up to Sebastiano Rossi From his new vantage point on the bench, he was handed no visible route back into Zaccheroni’s first-team plans. By early 1999, with the player happy to bring an early end to his Italian adventure and his club equally willing to draw a line under their unsuccessful goalkeeping experiment, Lehmann was offered a chance to return to the Bundesliga by his old rivals Borussia Dortmund, a chance he gladly took up. Lehmann picked up exactly where he had left off at Schalke, once again providing abundant evidence of the pros and cons of having Jens Lehmann as your club’s goalkeeper; his athleticism and physicality topping the former category, his volatility and vulnerability still notably headlining the latter. As such it took some time for Lehmann to establish himself as Dortmund’s first choice keeper, but by 2001 the jersey was his for keeps and he proved his worth with a number of valiant displays on the continent as his side came up painfully short – beaten finalists – in the same European competition he had won with Schalke just two years before. In the league that same year, though, he and his team-mates would go a step further, beating Bayer Leverkusen to the Bundesliga title on the final day of the season, earning Lehmann the first league title of his career. In spite his inspirational form, during his time with Dortmund, Lehmann’s disciplinary record made for tough viewing and this dogged defect held a constant question mark in place over the goalkeeper’s head, relentlessly questioning his prolonged suitability. Over the course of his five seasons at the Westfalenstadion, Lehmann displayed unprecedented levels of indiscipline, earning sufficient suspensions to see him surpass his nation’s previous record holders for both red cards received by a Borussia Dortmund player and red cards received by a goalkeeper. One particular red card was even issued to Lehmann, in 2003, for confronting, reprimanding and subsequently throttling his own team-mate, Márcio Amoroso, while playing against his old club Schalke. Records they may have been but they were far from celebrated by his club, and Lehmann’s growing disciplinary ineptitude, when coupled with his loss of form in the season following their championship win, was enough to force Dortmund into seeking alternative custodian employment. Eventually supplanted by the younger and comparatively prosaic Roman Weidenfeller, as the summer of 2003 approached, Lehmann found himself straying from Dortmund manager Matthias Sammer’s plans. Around this time, in north London, Arsenal were waving goodbye to a true servant to their club; a legendary goalkeeper in the pleasant and perpetually ponytailed form of David Seaman. First signed in 1990 by George Graham, for a then-record fee for a British goalkeeper, Seaman had tended goal for 13 years and, along the way to more than 400 club appearances, helped the Gunners to as many as eight major honours. Quite some act to follow, Arsène Wenger knew just how important a job it was to ensure Seaman’s successor was somebody equally special. But the task of finding his replacement wasn’t an easy one and the Frenchman laboured over the choice. Nevertheless, once Wenger believed he had found his man, there was to be absolutely no indecision. After agreeing terms with clubs both present and future, Lehmann, who habitually represented himself during negotiations, flew direct to Austria to join his new team-mates on their pre-season tour, and immediately began to share in their desperation to get the new season underway. Having successfully broken Sir Alex Ferguson’s Premier League monopoly with a title of his own in 1998, Wenger and his team endured another three years of Mancunian dominance before charging to another impressive league and cup double in 2002. However, the following year, despite being favourites to retain their crown, Arsenal choked, ending the season as runners-up to United again, blowing their chance at successive Premier League titles. Though they had triumphed again in the FA Cup, beating Southampton in the final at in Cardiff, the one they truly wanted had escaped them. The feeling of aggravation sat with the Arsenal squad long into the post-season break. In no private manner, they seethed. But with not one of them content with being second best, their most recent failure to finish on top only left the players hungrier than ever for more success. In preparation for the impending campaign, Lehmann joined a crop of players utterly resolute in their determination to prize the trophy back from Manchester United’s vice-like grip, desperate to have it paraded around the blushing streets of Islington once more. Lehmann immediately found himself a vital component of his new team as he and his colleagues began the campaign in fine form: four wins and a draw from their opening quintet of fixtures, scoring 11 times and conceding just three. Despite the thrilling start, though, it was only when faced with adversity that Lehmann first witnessed just how special a group of players he had been made a part of. In their first Champions League tie of the season, Arsenal fell to a strong showing from Inter Milan, losing 3-0 at home, and the following weekend faced a trip to Manchester to take on the reigning champions. Having lost captain Patrick Vieira to a controversial red card and facing the daunting prospect of a 93rd minute Ruud van Nistelrooy penalty at Old Trafford, Arsenal’s hopes of an unbeaten season appeared to be on the verge of destruction, at the sickeningly familiar hands of Ferguson’s men, long before such an idea had even begun to coalesce in the squad’s collective mind. But as van Nistelrooy’s penalty thundered off of the crossbar and skidded across the turf to safety the Gunners’ pristine loss column, perilously close to pollution, remained unsullied. After what seemed an age the full-time whistle brought an end to the madness; the wildest of 0-0 draws. Standing under the still quaking crossbar, Lehmann observed the explosive climax that followed the game’s cessation, a furore that involved many of his emotionally charged teammates barging and berating their opponents, most notably targeting the game’s vexing lead, van Nistelrooy. Far from being appalled by his team-mates’ unsavoury actions – actions emblematic of a lack of professionalism so extreme in nature that six Arsenal players would eventually find themselves recipients of FA charges ranging from improper conduct to violent behaviour, consequent suspensions totalling nine games and fines worth more than £100,000 – Lehmann was actually rather impressed by what he saw. “When I saw my team-mates being full of passion and adrenaline and still fighting and arguing I thought wow, this is a really great team because they take care of each other and they have passion.” These were qualities Lehmann shared with his Arsenal team-mates. Having emerged from the Battle of Old Trafford bearing little more than a smattering of hard-earned battle scars, Arsenal continued onwards towards the new year, their efforts concentrated on maintaining a run of title-worthy form. Throughout November and December Arsenal played nine Premier League matches, winning six and drawing three, during which time Lehmann’s goal was breached just four times. Much like the spectacular sight of an on song Thierry Henry galloping menacingly beyond a hapless defender – the latter always seemingly caught between attempting to will back into shape the crumbling walls of his back-line with pleas of desperation alone and praying to any higher being within earshot for a moment’s assistance in the slightest sense resembling divine intervention – Arsenal glided with supreme confidence into spring. January began with a tetchy draw away to Everton, but Wenger’s men followed their frustrating afternoon at Goodison Park with a superb nine-game winning streak, stretching long into March. Come 25 April, Arsenal’s run presented them with a tantalising prospect: securing the title at White Hart Lane, the home of their most intimate rivals. With their closest championship chasers Chelsea having dropped points in three Premier League games in the space of a week, Arsenal knew even a solitary point against Tottenham would be sufficient to see them named champions on enemy turf. The day’s derby played out a perfect cliche: truly a game of two halves. The opening 45 minutes treated those watching to yet another scintillating masterclass of attacking prowess from Arsenal, goals from Vieira and Pirès leaving the Gunners in cruise control, sauntering towards the title. 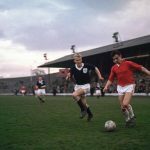 The second half, however, saw Spurs battle back, desperate not to let Arsenal win the league on their ground again, having already been forced to witness such a scenario when their north London rivals held aloft the trophy in Tottenham territory in 1971. A long range Jamie Redknapp strike sneaked into the bottom corner, exposing a slight chink in the Arsenal armour, bringing the score back to 2-1, before Lehmann took it upon himself to all but shed his entire team’s sturdy metallic defences with a signature moment of madness. The referee’s watch ticked cautiously beyond the 90th minute, wary that one last flash point may belong to the hotly tempered tie, and from a Tottenham corner its premonition was given life. Lehmann and Spurs striker Robbie Keane clashed – not for the first time – the German seeming to use Keane as some kind of springboard, and at the sight of the Irish striker’s intense remonstrations, referee Mark Halsey awarded a penalty to the home team. Though insufficient time remained for Spurs to follow their successful penalty conversion with a third goal – meaning Arsenal secured the title-winning point they needed with the 2-2 draw and brought the Premier League trophy home at White Hart Lane – the unnecessary implosion that, even if just for a second, threatened to derail Arsenal’s incredible journey toward unrivalled local supremacy, left Lehmann’s team-mates livid. Lehmann’s fleeting alliance with the dark side of his own temperament wasn’t to take the shine off of his team’s momentous day, though. In fact, given the events that soon followed, it may even have added a final gloss coat to the memories etched into the hearts and minds of their adoring faithful. Having been warned of potential crowd trouble, should Arsenal’s celebrations be deemed overzealous by the disconsolate Tottenham crowd, the squad were advised against commemorating their league win in particularly joyous fashion out on the White Hart lane pitch and the players appeared content to leave their champagne corked until their next home game in less than a week’s time. But as the Spurs players lauded their late equaliser, and their lilywhite fans revelled in what momentary glory could be absorbed from the game’s events, the Arsenal players saw fit to respond in only one way, by jogging over to the pulsating pocket of travelling Arsenal fans; drinks bottles, banners and inflatable trophies in hand, and celebrating like they had just secured the Premier League title, to that point still undefeated, in the backyard of their noisiest neighbours. In looking back on the games played against their greatest rivals, Lehmann recalled the occasions with nothing but fond memories. “It was always great to play [at White Hart Lane] because people were so hostile against us and particularly against me. As a goalkeeper you’re standing just three or four yards away from the fans, and I liked, or, better to say, I loved these atmospheres.” As though anybody really expected Jens to do anything but treasure those occasions and thrive at the centre of the cauldron. With just four fixtures left to play, Arsenal found remaining unbeaten far from plain sailing as the size of the target on their backs increased with every passing game. Even for those with supposedly nothing at stake, suddenly a bounty appeared in the shape of the supposed immortals. A goalless draw at home to Birmingham saw the hosts put in as poor a performance as they’d managed all season, and they ended the day thankful to have come away with a point, and the following tie away to Portsmouth necessitated a José Antonio Reyes equaliser to prevent a loss on the south coast just three from the season’s end. Arsenal maintained their focus, unwilling to relinquish their unique grasp on history, and wins in their final two games against Fulham and Leicester City saw them surmount the seemingly insurmountable – deserved winners, champions, invincibles. In his first season on English soil, Jens Lehmann had successfully eclipsed his every preceding achievement. Certainly, his successes both at home and abroad, early exploits with Schalke, the steep learning curve that left him reeling at the San Siro and his tribulations at international level, were all invaluable experiences and each had a hand in the collaboration that brought him to this venture of his career. But never before, in any league or any team, had Jens Lehmann ascended such heights. Not once before did Lehmann have cause to be called invincible. While many foresaw Arsenal surfing the incredible wave of optimism garnered by their marvellous unbeaten campaign toward a place of unrivalled English league dominance, what actually followed made for a rather uncomfortable ride for the Gunners. The team began the subsequent season in a similar fashion as eight wins and a single draw from their opening nine fixtures had them sitting pretty at the top once more, and their continued abstinence from losing saw them reach a remarkable 49 games undefeated in domestic competition, by far and away an English league record. The glorious run came to an abrupt end at Old Trafford on 24 October 2004. Some 399 days on from their last league visit to Manchester United – the day of that famous battle, the missed van Nistelrooy penalty, the post-match ruckus, the day Arsenal’s unbeaten run last looked to be most fragile – goals from van Nistelrooy and Wayne Rooney, though mired in controversy, left no doubt in their intentions, as the duo stabbed into the page a deliberate, indelible full stop at the end of Arsenal’s longest-running sentence. From that day forth, Arsenal’s title hopes for the season would never recover and they would be forced to settle for second, left smarting in the wake of an outlandishly dominant Chelsea. It wasn’t an entirely unfamiliar feeling; the bitterest of disappointments following the most euphoric of highs. 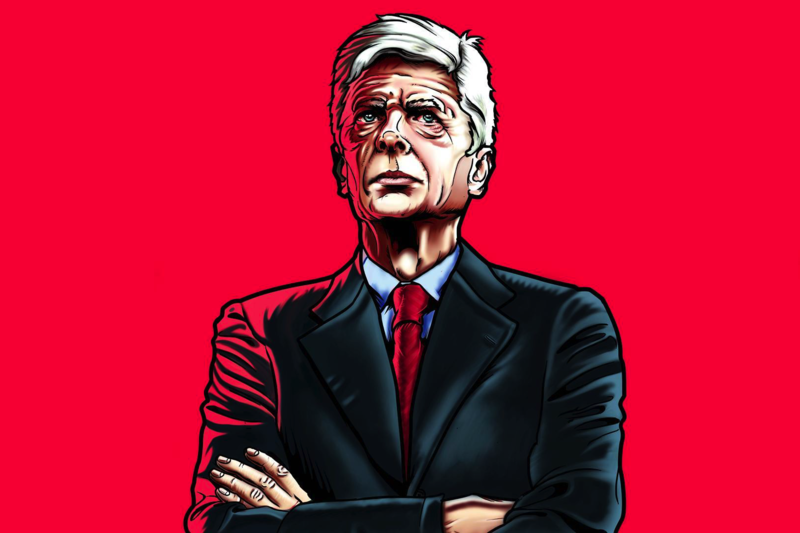 In each of Wenger’s three title-winning seasons, what followed were campaigns routinely underlined by inadequacy, ever the victims of their own impossibly high standards. But before the curtain fell on the 2004-05 season, there was one last chance at redemption for Arsenal, even more so for Lehmann, as the team reached the final of the FA Cup. Lehmann had remained as his team’s number one goalkeeper for the majority of the season but the addition of young Spanish goalkeeper Manuel Almunia to the Arsenal cause had kept Lehmann on his toes, even at times seeing him dropped to the bench as the result of the occasional blunder. At the Millennium stadium in late May, however, there was to be no doubting the trust Wenger had in his key custodian as Lehmann’s name proudly topped his side’s starting line-up on cup final day. For all the dominance and defiance, passion and power, volatility and violence on show throughout Arsenal and Manchester United’s recent shared history, the clash that decided the victor of 2005’s FA Cup played out as a remarkably low-key finale. A showcase devoid of a show. 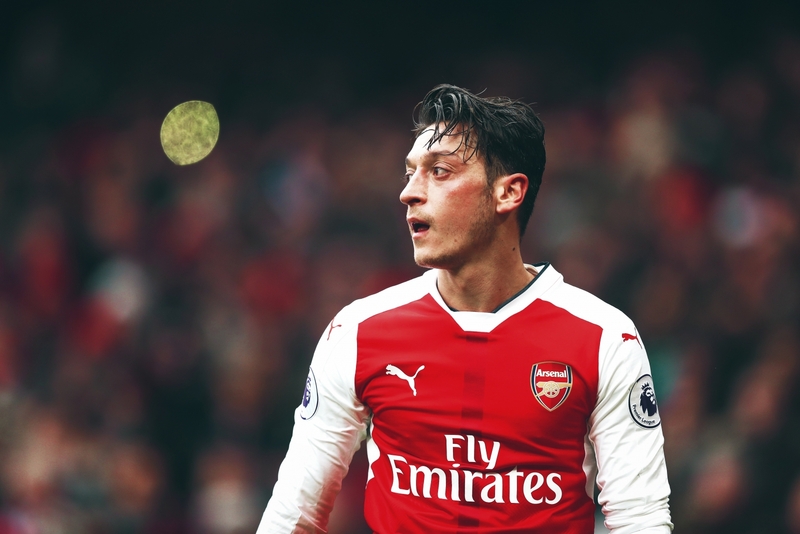 The occasion’s unstoppable force, Manchester United, fruitlessly endeavouring to outmanoeuvre the immovable object that was Arsenal. There was, of course, a customary dismissal – a red card shown to Reyes late in extra time – many so-called determined tackles and plenty of posturing. But without a single goal to set the affair ablaze, the game was eventually settled by penalties and, for all the artistry and elegance patrolling the grassy expanse between both penalty areas, it was the gloves of Jens Lehmann that brought down the final hammer of judgement: a shootout save from Paul Scholes his chosen means of execution on his opponent’s cup final aspirations. 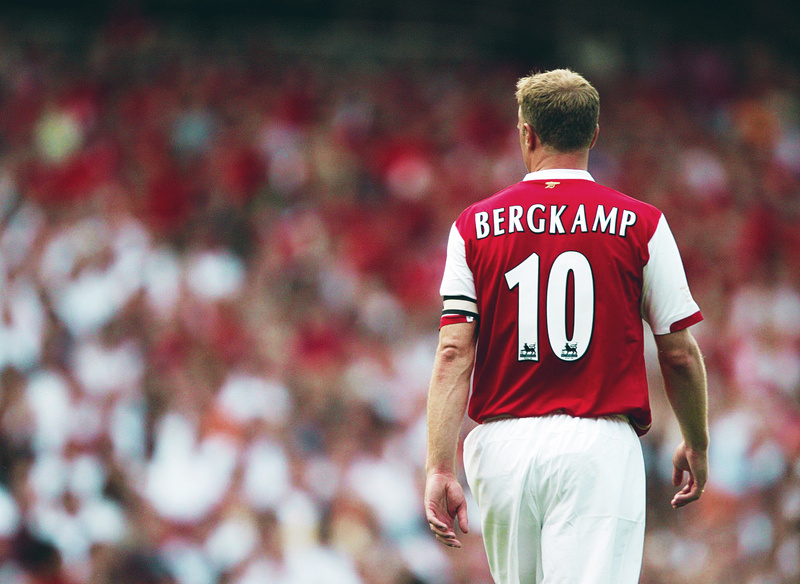 In light of his less serene instances, it didn’t take a genius to see the German’s worth to his team, though just how valuable an asset Lehmann was to Arsenal was yet to be explored fully as his form was yet to peak for another season. Lehmann, while perhaps not intentionally, was saving his very best for the grandest stage club football had to offer. In the 2005-06 season, their final year at Highbury after 93 glorious orbits, Arsenal found themselves well off the title-chasing pace. Come May their trophyless domestic showing was compounded by a league finish as low as fourth, a position itself only attained at the expense of rivals Tottenham following something of a miracle final month of results. Not only had they old rivals Manchester United and the previous season’s suddenly-affluent Chelsea, still very much in Championship-winning form, to contend with, it appeared they had even slipped far behind a resurgent Liverpool in the race for Premier League prosperity. But unlike so many seasons overseen by the Arsenal, the club found their greatest successes far away from the sanctity of their domestic dwellings. As 2005’s pages fell from their calendars to be replaced by their succeeding year’s, the Gunners’ finest showings continued to be found scattered across the continent, sprinkled throughout a generous helping of European delights, in games that would once again see Arsenal’s revered ranks become contemporaneous with rewritten club history. Their season’s Champions League campaign began in familiar surroundings at home to Swiss outfit FC Thun, who made rather more of a game of it than the Arsenal contingent would have liked, but the home team somewhat fortuitously kicked off their European adventure with a win; Dutchman Dennis Bergkamp’s late strike securing a 2-1 win made all the more difficult by the dismissal of his fellow countryman Robin van Persie. In Amsterdam a fortnight later, Arsenal dispatched a second group stage foe in the shape of Ajax with another 2-1 victory and, as it happened, Markus Rosenberg’s 73rd minute consolation would be the last goal Arsenal would concede in the Champions League until its grand final in Paris: more than 16 hours of football later. Though many of Arsenal’s early games in the competition had seen Almunia trusted with the duty of tending goal – the Spaniard deputising in five of his team’s six group stage fixtures – out of the group stage traps and confronted by the bright lights of the knockout round, it was Lehmann who was given the duty of guiding his team’s safe passage across choppier European seas. With only the faintest blemish in the form of an inconsequential 0-0 draw at home to Ajax in their final group stage fixture, Arsenal continued their march across Europe onto Spanish soil. 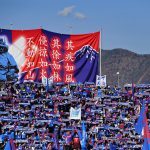 Five wins and a single draw their ammunition. In the round of 16, a two-legged waltz with the matadors of Madrid awaited. In the Spanish capital, Wenger’s men shrugged off their underdog tag, eradicated from their minds their troubling domestic form, and masterminded one of the club’s great European away performances. In becoming the first English team ever to depart victorious from the Bernabéu, Arsenal’s memorable 1-0 win belonged to a piece of Thierry Henry magic so majestic it would grace Champions League ‘best of’ highlight reels for over a decade without ever once venturing close to over-familiarity. Their win was no easy feat. Lehmann was required to rebuff more than a handful of efforts from the likes of Beckham, Zidane and Ronaldo, desperate to spoil his clean sheet. The German proved himself to be more than up to the task. In retrospect it is evident that Lehmann was only just getting started. Back at Highbury a fortnight later, Arsenal executed the first of a trio of second-leg shutouts. Try as they might, Madrid could do nothing to break the Arsenal resolve, a combination of goalkeeper and post at times required to keep Real at bay, until eventually the referee’s final whistle called a halt to their attempted invasion and they exited the competition, 1-0 the unprolific but sufficient aggregate score. After overcoming a team of Spanish giants, Arsenal were rewarded with a similarly mammoth task, this time in Italian form; a quarter-final match-up against Juventus. The key difference was, this time, Highbury hosted the opening leg and, on their most beloved stage, Arsenal’s cast put on a show worthy of regular reminiscence. Juventus’ arrival in England brought about an emotional return to familiar surroundings for Arsenal legend Patrick Vieira, who was to play against his old club for the very first time since swapping London for Turin just nine months before. Many theorised about just what damage the formidable French destroyer could do to his old friends’ burgeoning hopes of European glory, but in the end it was his teenage successor, young Spanish protégé Cesc Fàbregas, who stole the show. A goal, an assist, and everything in between, 18-year-old Fàbregas reached out into that crisp March evening and pulled from it a performance unrecognisable of somebody with his inexperience. In one 90 minute showing, Fàbregas provided evidence in abundance as to why Wenger was so smitten and why already he had hatched plans to build a team around him. Two weeks on, in early April, Arsenal travelled to the Stadio delle Alpi to finish the job. Another adamantine defensive showing; another 0-0 for Lehmann to treasure; another chapter to add to their still manifesting memoir. In the semi-final, Arsenal’s opponents Villarreal clung desperately to the hope that they would be the team to break the Arsenal block, that perhaps Real Madrid and Juventus had worked the body for long enough that Villarreal could deliver the knockout punch. But even with a handful of keys, Juan Román Riquelme the most supremely skeletal of them all, they too fumbled and failed to unlock the Arsenal door. The home team, meanwhile, absorbed the pressure and then snatched a lead of their own, thanks to Kolo Touré’s unlikely right boot, and Arsenal took a 1-0 advantage with them to Spain. Their efforts significantly subdued by the unrelenting cacophony that echoed around the Estadio El Madrigal, Arsenal found it impossible to add to their first leg tally in the return fixture. But with a defence as determined as theirs had shown to be when gracing the European stage, a single goal would prove sufficient so long as Villarreal failed to score. And for so long they seemed unable to, the same story for a sorry bunch unable to breach the Arsenal goal. A third successive second-leg 0-0 surely awaited as Villarreal’s precious seconds ebbed away. Then suddenly the Spaniards were given hope; a late penalty. “I thought to myself, if it is our year, Jens will save it.” Those were Wenger’s words after the match. Whether a literal elucidation of the immense task that would face them following a stoppage time equaliser or a hopeful nod towards romantic notions of fate or destiny, the Arsenal manager’s words would prove prophetic. As Riquelme kissed the ball and placed it gently on the spot, in the hope of seducing it into the goal, Lehmann stood tall, soaking in the occasion, relishing the opportunity to become a hero again. 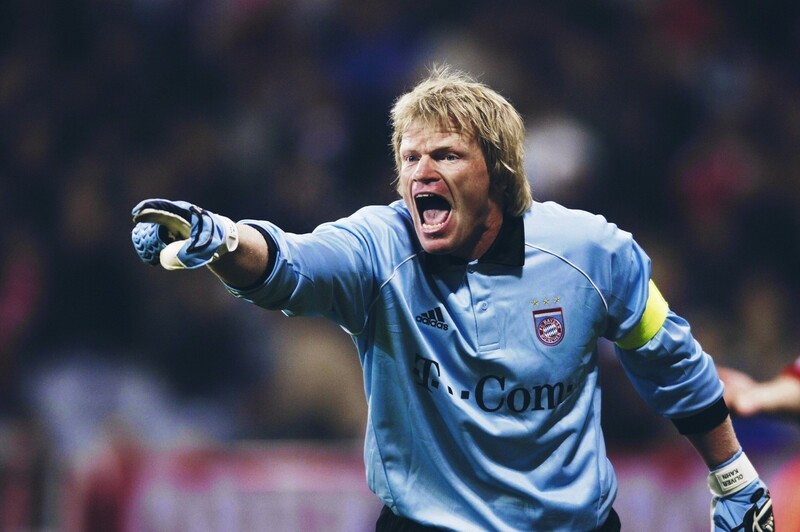 So often is the role of a goalkeeper thankless, so often the duty a tragic formality, Lehmann made sure to bask in the moments that immediately preceded, in the moment warranted, and most closely followed undiluted reverence. They were few and far between. Riquelme shot low and hard to the goalkeeper’s left, as the home crowd leapt to their feet as not to miss the net’s ripple, only to be denied by the diving German’s out-stretched palms. Their final shot at parity denied, the yellow submarine was sunk as the Gunners’ aimed their sturdy sights in the direction of the club’s first ever Champions League final. Awaiting them was Frank Rijkaard’s Barcelona. Tragically, for all the toiling, the dreaming, the hoping and believing, Arsenal’s great European finale would end in agonising circumstances, and for none more so than Jens Lehmann. Despite the strength, influence and belief he brought to the team, the record 10 consecutive clean sheets achieved along the way, the duty he felt he had to protect his men in just one last battle, the final scene of Lehmann’s greatest ascent would also become home to his greatest heartbreak. As Samuel Eto’o broke through the Arsenal defence, invited in behind enemy lines by Ronaldinho, Lehmann charged forward to prevent the Cameroonian’s advances only to take him down illegally on the edge of the area. Though the ball was rolled into an empty net by Ludovic Guily, the referee’s whistle had already sounded, no advantage was to be played, and instead a red card shown to Arsenal’s experienced and thus far unconquerable goalkeeper. Distraught, Lehmann could do nothing but bring his gloved hands to his face to hide his emotions, before making the long, lonely walk off of the field. 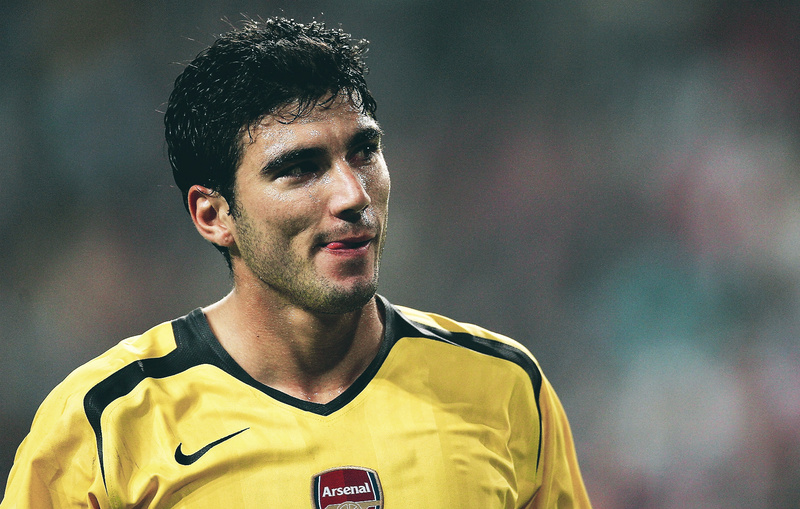 Almost immediately, Lehmann was followed by Robert Pirès, the attacking instrument deemed surplus by Wenger in order to send on Lehmann’s substitute counterpart Manuel Almunia, and in just the 18th minute of play, Lehmann’s Champions League final was over. Though Arsenal would later take a shock lead through Sol Campbell on 37 minutes, Barcelona’s numerical advantage would eventually prove unstoppable as two late goals from Eto’o and Belletti turned the tie and saw the Catalan’s crowned champions of Europe. They had come so close to glory, but been left so far from it. This particular Arsenal team was to remain undeniably mortal. After the nausea eventually dissipated, the tears dried, and the remains of Arsenal’s European dreams were salvaged for reuse another day, while still attempting to shake off the sorrow that had drenched the Arsenal squad following their fleeting flirtation with European glory, Lehmann was gratefully handed an opportunity to exorcise a few demons, on home soil, during World Cup 2006, and it was during this time it became clear that not even the international stage was exempt from Lehmann’s thrilling eccentricities. By 30 June 2006, Lehmann and his compatriots had made it to the World Cup quarter-finals where they did battle with Argentina. Following a 1-1 stalemate, contested over 120 minutes of football that failed to split the two nations, the game went to a deciding penalty shootout; the host nation’s hopes falling solely on the shoulders of Lehmann and those in white most willing to trust their luck from 12 yards. In making two incredible saves, from Roberto Ayala and Esteban Cambiasso, Lehmann, and his country’s four successful penalty takers, defeated Argentina and dragged their country by the collar into the semi-finals. Though his shootout heroics alone were enough to earn Lehmann nationwide adoration, it was the presence of a particular piece of paper, kept safe inside of Lehmann’s right sock for the duration of the game, that saw Lehmann once again transcend into the realms of cult-hood. National news in almost an instant, it quickly transpired that upon this piece of paper Lehmann, in collaboration with Germany’s goalkeeping coach Andreas Köpke and chief scout Urs Siegenthaler, had scribbled notes regarding the likely direction of choice of Argentina’s assumed kick-takers. Not only did Lehmann remove the sheet from his sock for a quick revision before successfully saving from Ayala, whose name evidently featured in his written research, but he also used the same technique before saving Cambiasso’s penalty, whose name was reportedly absent from the list. There or not, he had lost the battle of nerves. His mind games second to none, Lehmann’s handiwork even drew praise from old rival and legendary German custodian Oliver Kahn, a man with whom Lehmann had notoriously struggled to see eye to eye. Not for the first time, Lehmann’s own unique ways had made him a hero to many. 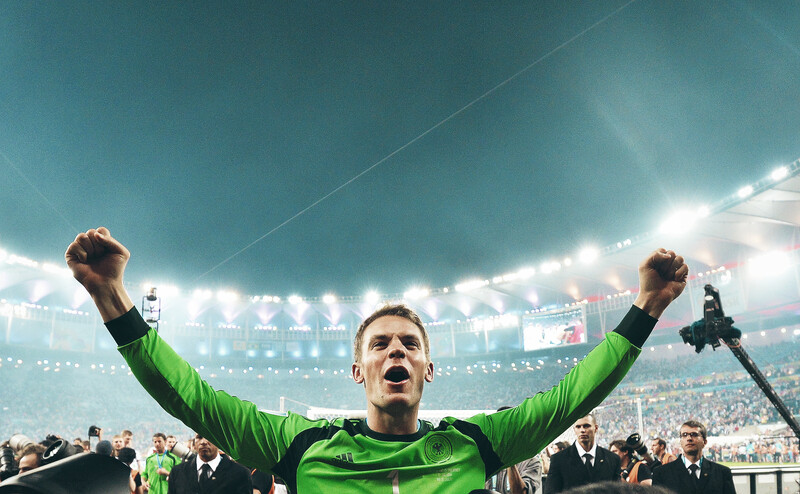 After leaving the World Cup later that month with a hard-earned but ultimately frustrating bronze medal, Lehmann returned once more to London, where he spent another two action-packed seasons fighting Almunia and Łukasz Fabiański for the right to call themselves Arsenal’s number one and desperately attempting to recapture the glory days that came before, though sadly the memories would remain only a piece of history; indignantly inimitable. To the dying breed of neutrals, watching on throughout his career, Jens Lehmann was nothing if not entertaining. Come matchday, awaiting another tireless search to find a safe haven on the borders of both yin and yang, Lehmann could just as easily come away with a man of the match award, lauded for his fearless acrobatics, as he could exit the stadium the villain of the piece having cost his team with an absurd and avoidable error. Certainly, for everybody bar fans of his team, part of the fun came in predicting exactly which Jens Lehmann you were about to witness. But despite this undeniable dichotomy, it must be argued that Lehmann’s abilities often far outweighed his moments of madness. If not the case, how else could he have reached the very summit of the game for both club and country? Knowing this demand for perfection that Lehmann held so dear makes the reality of his place in the historic Invincibles team all the more pleasing, almost as though it was meant to be. But it also clearly identifies the root of Lehmann’s greatest contrast. Evidently, his unwillingness to accept nothing less than perfection drove him towards both greatness and chaos, forging both sides of the Lehmann coin, leaving him, for the most part, stranded somewhere in the middle. To dwell within the absurdly hypothetical for just a moment, should that tiny cluster of neurones inside of Lehmann’s unpredictable mind, that made him who he was, have ever been located and removed, to leave behind an ordinary man in every sense compos mentis, would the world-class goalkeeper presented beforehand still be entirely present? It wouldn’t be without reason to argue not. No player is perfect and there is no telling what would be lost from Lehmann’s game should the presumed root of his faults have been eradicated altogether.